In this post i would like to provide one more option to investigate ORACLE CPU performance problem using SYSTEMTAP. A quick check on this part can for example show if our process is spending a lot of time on the run queue or IO wait. 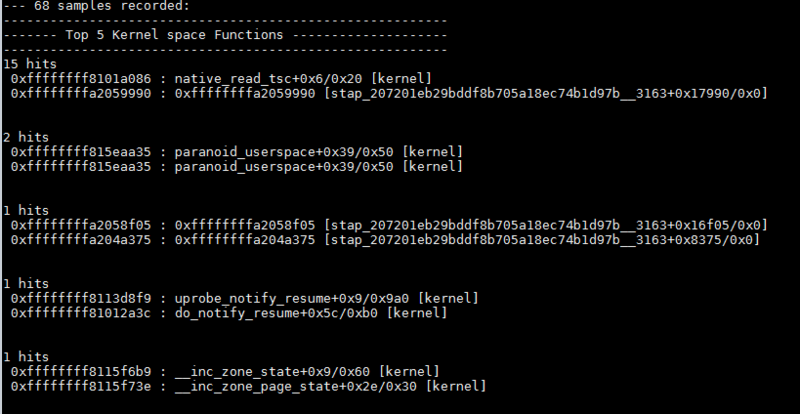 This part of the script show the top 5 kernel function.So if the big percent of cpu consumption is in kernel mode a quick check in this section can help. The sampling of function call is done with timer.profile probe. This part of the script show the top 5 user function.So if the big percent of cpu consumption is in user space mode a quick check in this section can help.The sampling of function call is done with timer.profile probe. To show the symbol name for user space function i have hit some problem due to reaching the max size of the table MAX_UNWIND_TABLE_SIZE (16M) in translate.cxx. So i increased this value and then recompiled systemtap but when rerunning the script my session hanged . To workaround this i used “addr2line” to translate the hex addressee in a symbol name. This part show the number of context switch and the different cpu in witch the process run. 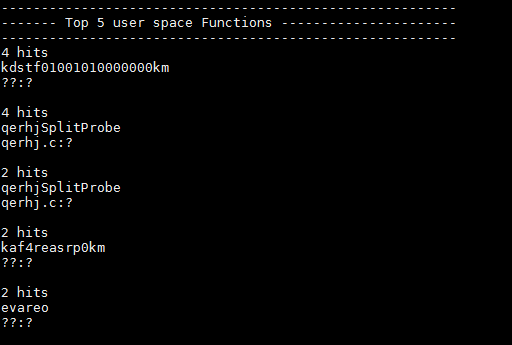 NOTE: Measuring of the elapsed and run time work only on kernel >= 3.10 due to restriction on the use of the “.return” suffix on user space probe point. The systemtap script take two argument : refresh time in second and the pid of the process to monitor. 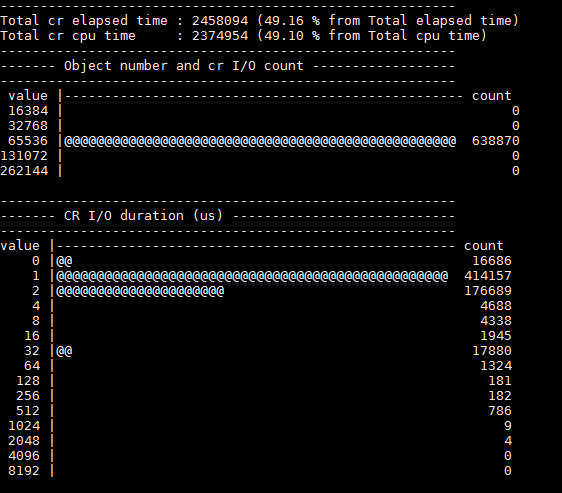 This is the first version of the script “Oracle CPU monitor” if hope i will improve it sooner :D.